Come enjoy what Colorado is all about. 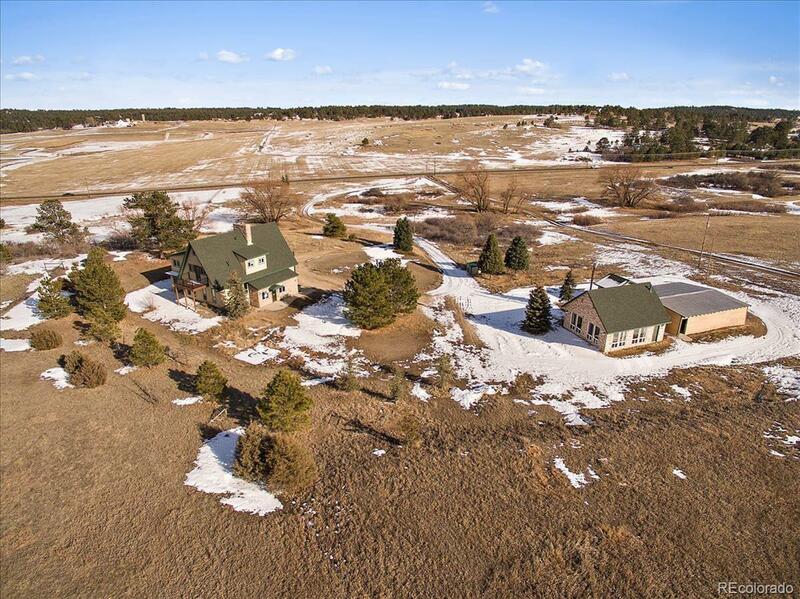 This beautiful 10 acre property showcases a Chalet style home featuring 3 bedrooms, stunning great room with a wall of windows, also a non conforming bedroom and bath in basement. Kitchen offers slab granite, built in desk, and all appliances. Additional features are brand-new carpet, fresh interior and exterior paint, new roof(s). BONUS second apartment/studio/office completely separate from the house that also has heat, 3/4 bath, kitchenette. No HOA Close to Parker and Franktown.